By now, you shouldn't need us to spell out the outfit-boosting benefits of the right pair of trainers. Deployed at the right time, they can lift a look from boring to bold, make the humdrum a humdinger, and any other alliterative phrases you can think of. But the key takeaways are 'right pair' and 'right time'. 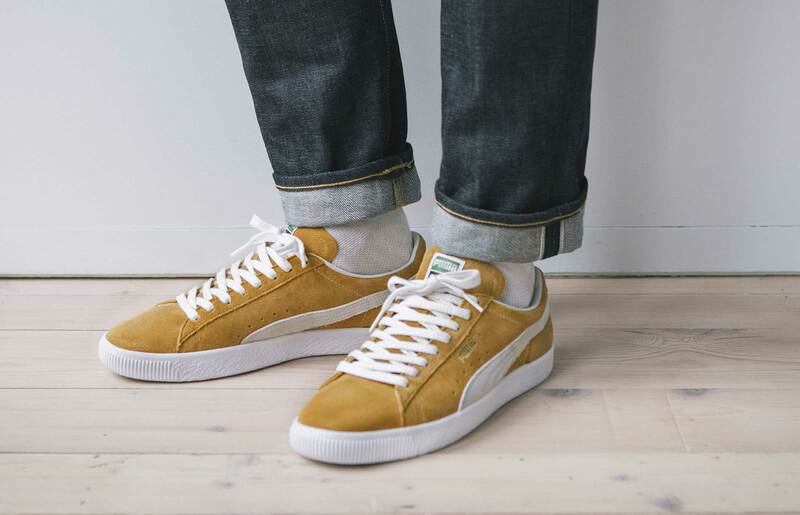 Which makes right now the time that your bright, white suede kicks stop being the best choice. As we approach the depths of winter, you want something that can weather the, well, bad weather. But it's not just about what goes on the outside of your trainers. "Invest in some good socks," says Millie. "In the winter, you can wear socks pulled up rather than showing bare ankles – you will lose a lot of heat if you’re wearing trainer socks. You want something thicker, but stop before you reach hiking sock territory." 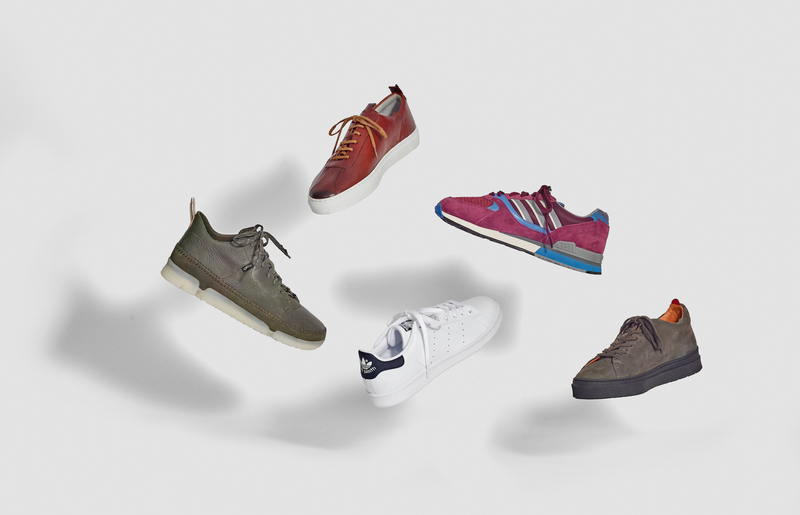 Below are the trainer styles that will keep you on-point all winter. Why they work right now: When the ground is wet, putting an extra few inches between your feet and the pavement is a smart move, says Millie. “The chunky, waterproof sole is a little elevated, so it’s puddle-skimming and it has more grip than smarter-looking trainers, which could be quite slippy." What to look for: With Clarks, you know you’re getting decades of expertise. These trainers are no exception. Look out for high-tech materials that work extra hard for you during the worse weather. "The membrane is made of Gore-Tex, which makes it waterproof,” says Millie. How to wear them: "They’re a definite casual option but can work with your jeans and winter-wear," says Millie. "Chinos or jeans are best and a slim-leg or straight-leg would be the most flattering, due to the slightly higher height of these shoes." Why they work right now: It's all well and good wearing lightweight canvas shoes when the weather’s doing its best impression of the Costa del Sol, but when the mercury plummets, your feet need more protection. Enter leather. What to look for: With the days getting shorter, the chances are you’re walking home in the dark. These feature reflective panels, for a dose of street style road safety. What to look for: Made using nubuck leather, these trainers are tougher and more resistant to wear than suede. “I would still protect them with a stain-repellent spray and then brush them if you get caught in the rain, as water can still leave marks,” says Millie. Why they work right now: Just because the weather’s turning grim, it doesn't mean you have to ditch white trainers completely. These won’t break the bank if they do get ruined, but (if you look after them) will still be able to hold their own come sunnier weather. What to look for: The key here is the wipe-clean leather. Millie recommends washing the shoelaces frequently so that they don’t look old, or to have a backup pair of white shoelaces. “Stan Smiths will suit most people if you want a clean, minimalist trainer."